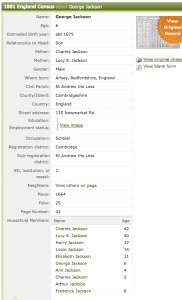 George was born in Arlesey, in about 1875 to Charles and Lucy Jackson. 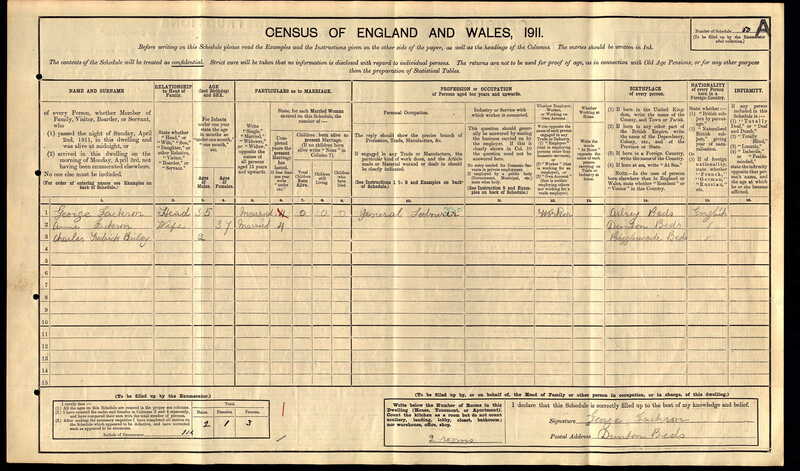 At the time of the 1881 census George was 6 years old and listed as a scholar. 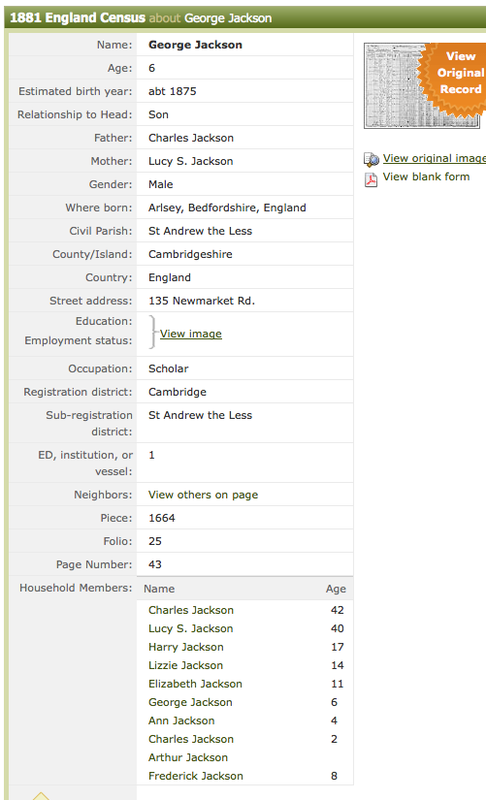 He was from a very large family consisting of Harry 17, Lizzie 14, Elizabeth 11, Ann 4, Charles 2 and Arthur and Frederick both whom had no age against them. 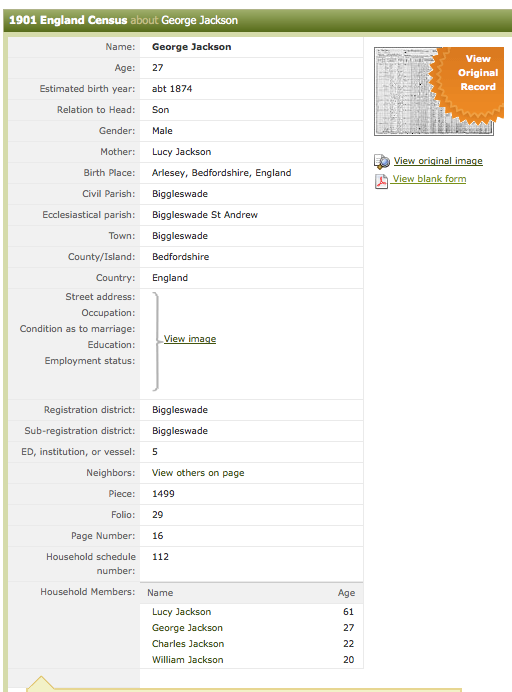 In the 1891 census George is listed as 17 alongside his mother and just two of his brothers, Charles and William. 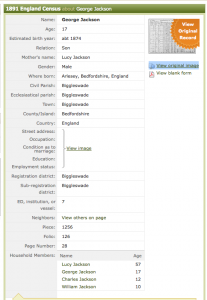 In the 1901 census George is listed as 27 alongside his mother and Charles and William. 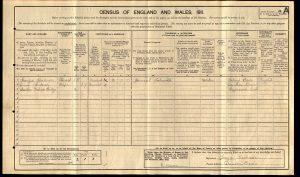 In the 1911 census things have changed for George. 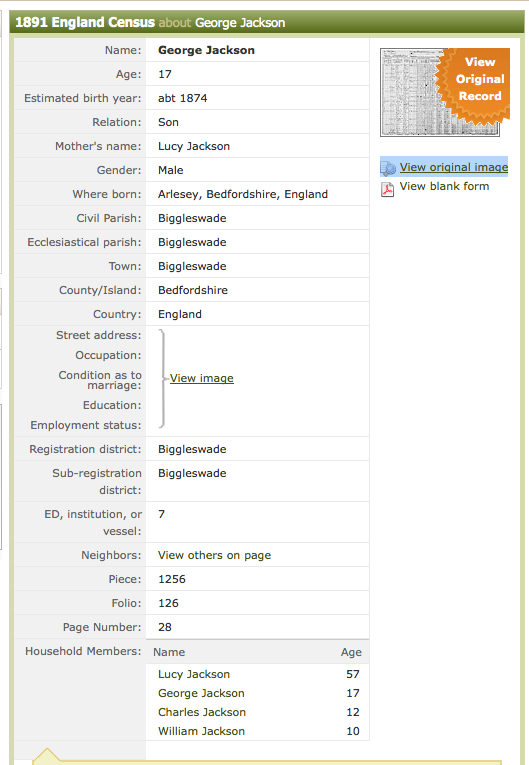 He is now 35, a general labourer, married to Anne and they have a little boy called Charles, aged 2. 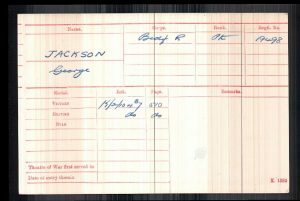 George became a Private, soldier number 19498, in the 8th battalion of the Bedfordshire regiment and sadly died on the 15th September 1916. 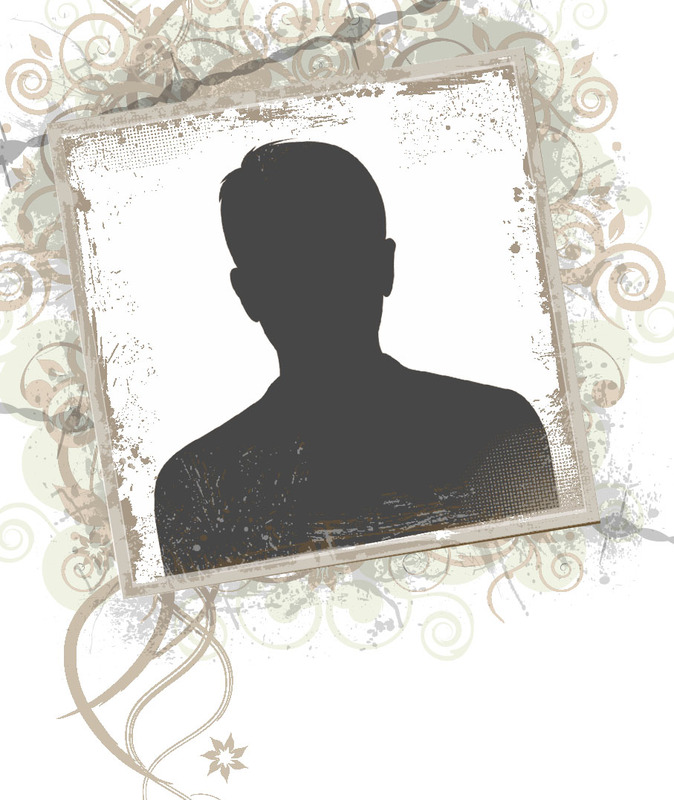 George's wife Annie received a letter from the Duke of Bedford expressing his sincere sympathy in her sad loss. 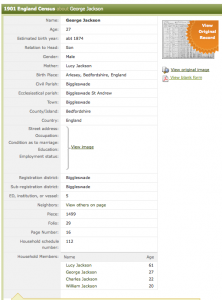 He stated that her husband had died a gallant death by giving his life in the cause of his country. 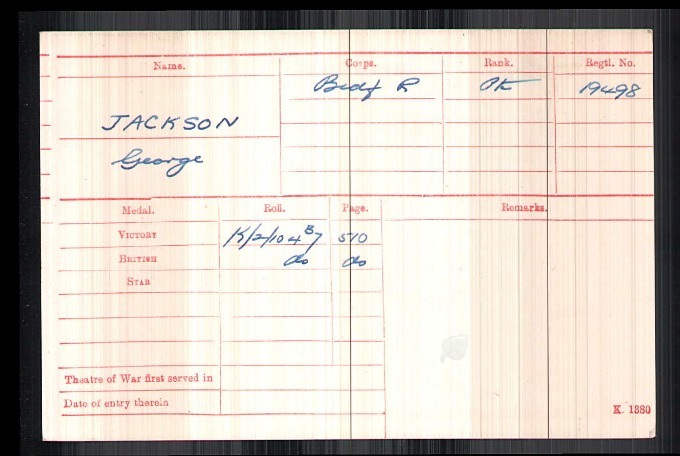 George is remembered with honour on the Thiepval memorial in France.